A stylish and fun pair of personalised golf socks with a quirky golf flag motif. Socks are almost an obligatory gift - always an absolute favourite! These lucky golf socks are even greater with an option to personalise them with a name making them a really meaningful gift. Give an extra little bit of luck for golf fans, for those skills in putting, chipping and driving. 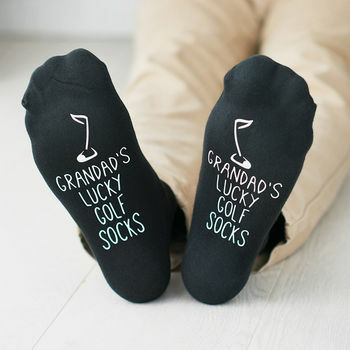 These personalised socks are great golf themed gifts for anyone with a love for the greens. 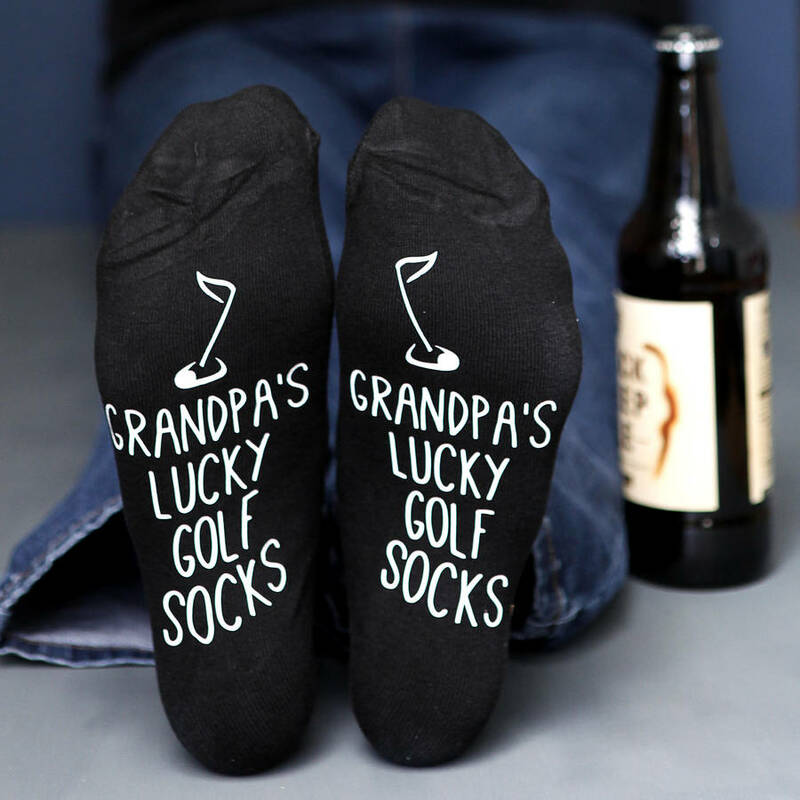 The personalised golf socks can have a name.